Membership runs from the date of joining until March 31 of the following year. 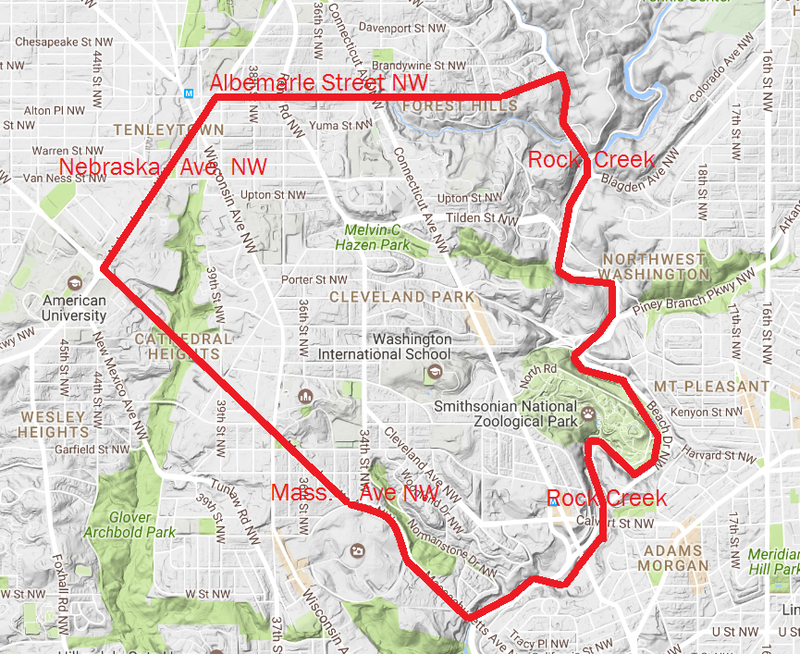 Voting memberships are available to 150 households in Cleveland Park, North Cleveland Park and Woodley Park. Voting members must reside within the boundaries of the map above. Membership includes children, grandparents, au pairs, exchange students, etc., living in the household. Each Voting Membership has one vote. New voting members are admitted as space becomes available on a first-come, first-served basis. Social + Activity Memberships allow both families and individuals living within Northwest DC to enjoy select benefits of membership. Open swim privileges, clubhouse rentals, and voting are not available to Social + Activity Members. Social Memberships allow families and individuals living in Northwest DC to participate in social events at the Club. Pool access, clubhouse rentals, membership discounts and voting are not available to Social Members. To join as a Social & Activity or Social Member, please press the button to the right.